Just for you my sweet friend! 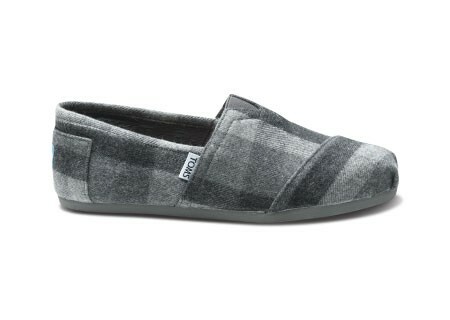 Queen of Toms. The Cause: With every pair of shoes you purchase TOMS will give a pair of new shoes to a child in need. One for One. It’s no secret that Calvin and I LOVE TOMS shoes. They are fun, comfy and the best part? You get to choose where you send the other pair of shoes. I sent my last pair to Ethiopia. (= A leading cause of disease in developing countries is soil-transmitted diseases, which can penetrate the skin through bare feet. Wearing shoes can help prevent these diseases, and the long-term physical and cognitive harm they cause. Shoes also prevent cuts and injuries to little feet. Toms has expanded from the simple classics I started with. They now have wedges, wrap boots and glitters. 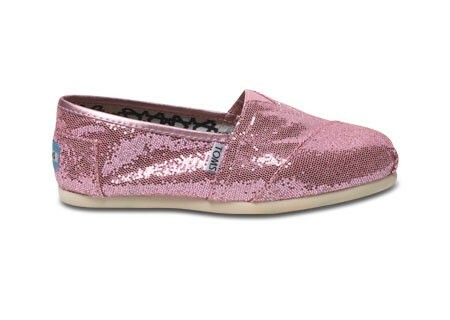 The pink glitters are on my personal wish list this year. So basically, if you’re going to buy shoes, why not make sure it counts?